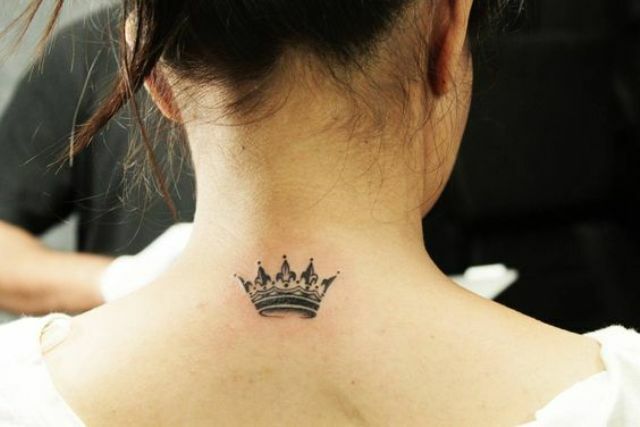 A crown is a symbol of royalty and a crown tattoo means feeling strong, confident, ambitious and powerful. 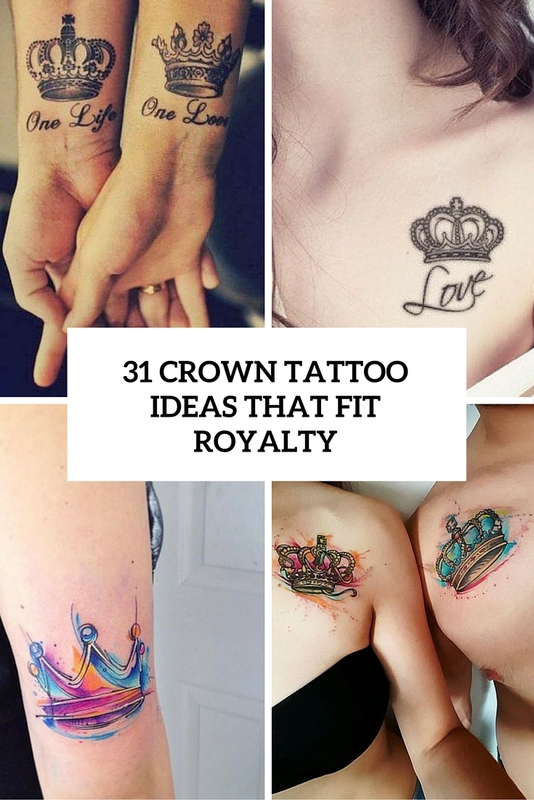 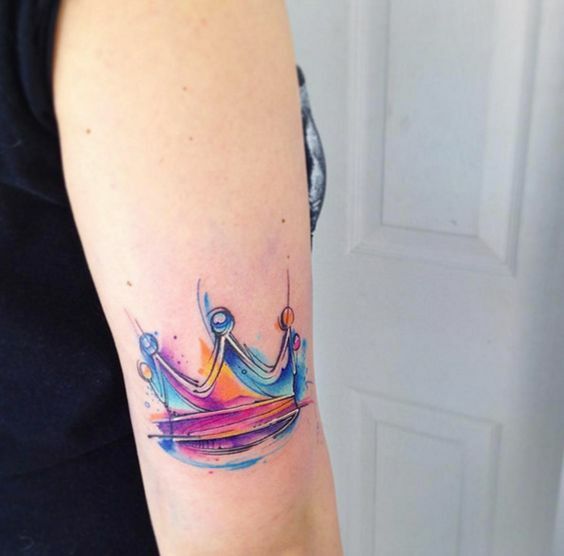 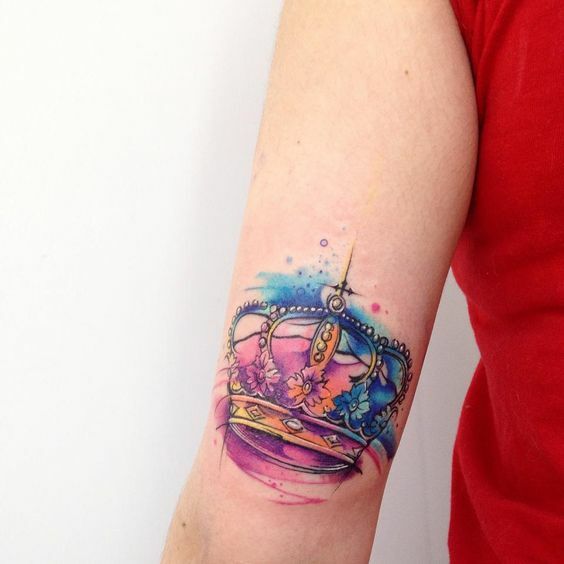 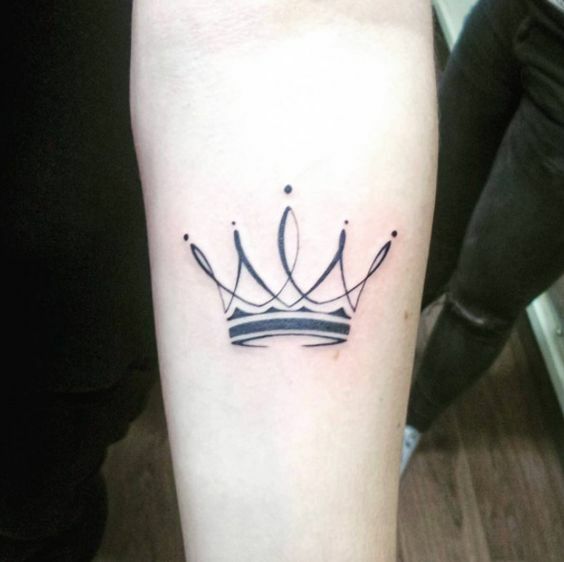 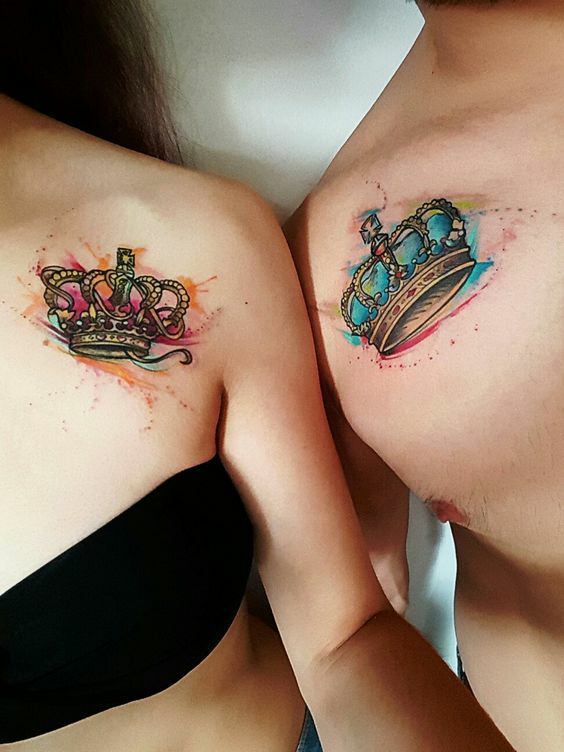 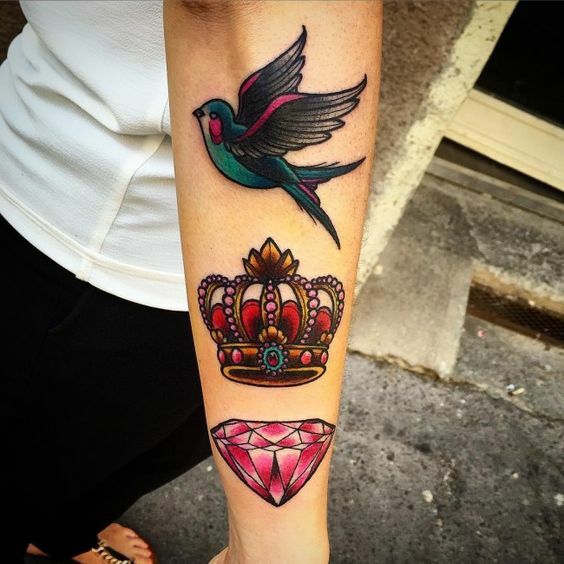 Crown tattoos may be large or small, black or watercolor and they can be placed anywhere and will look awesome anytime, let’s have a look at the most popular ideas to get inspired! 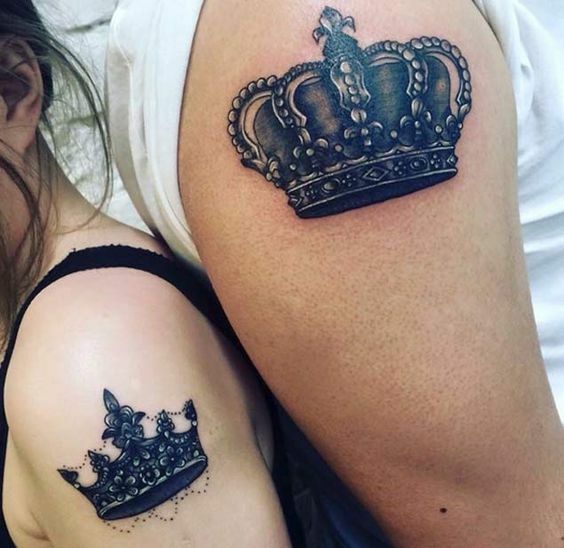 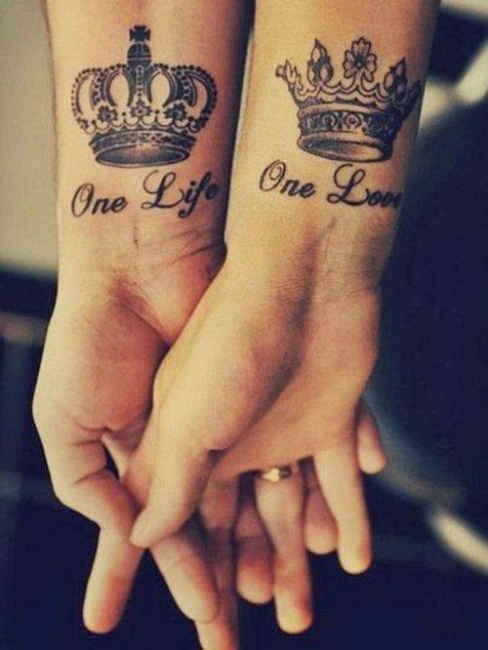 Many couple love to make such matching tattoos, they can be placed on arms, fingers, wrists, legs and feet, wherever you want. 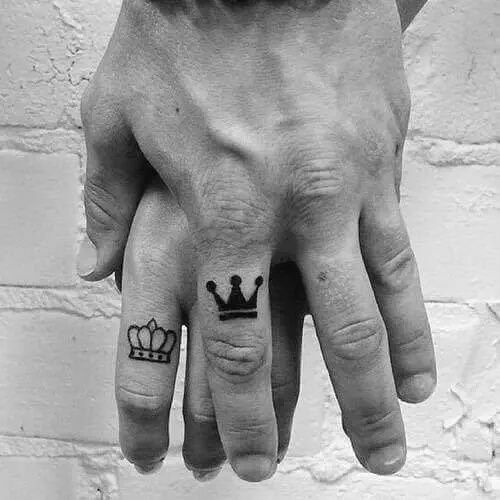 You may add dates of your wedding or meeting, some meaningful phrase or word and so on – everything that is important for your couple. 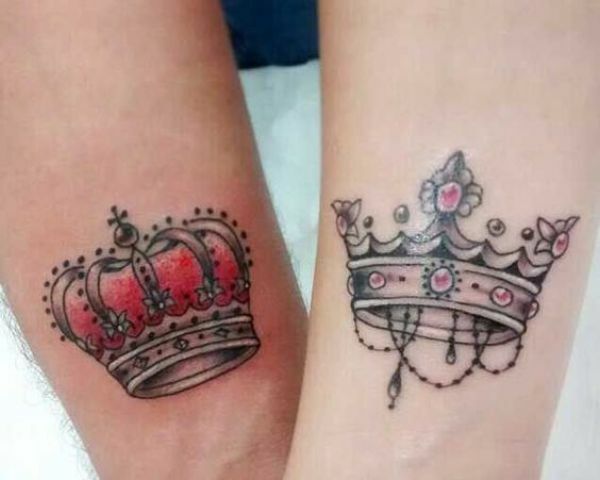 Some couple often add ‘king’ and ‘queen’ words to crowns. 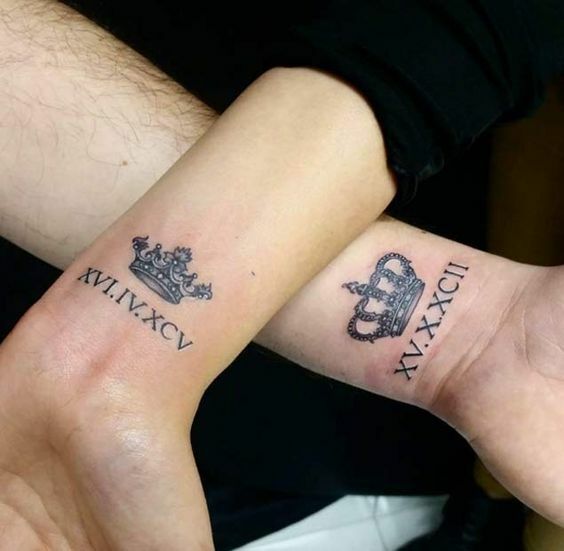 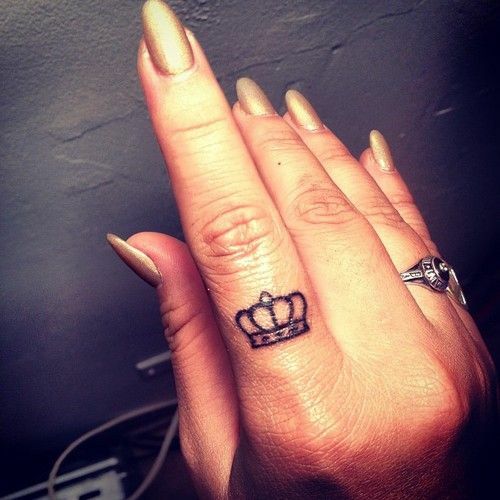 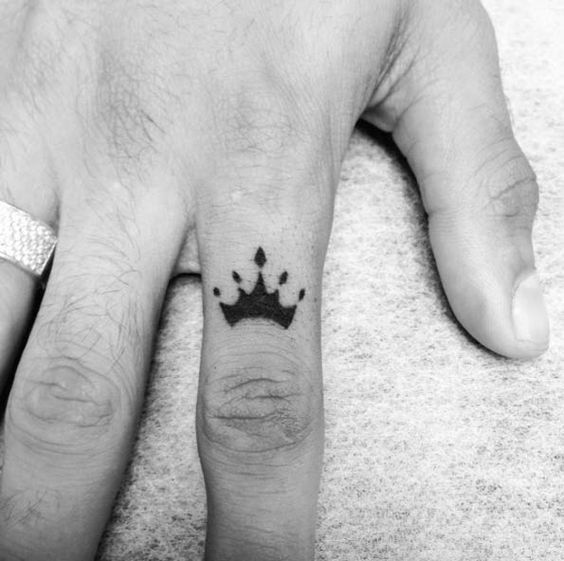 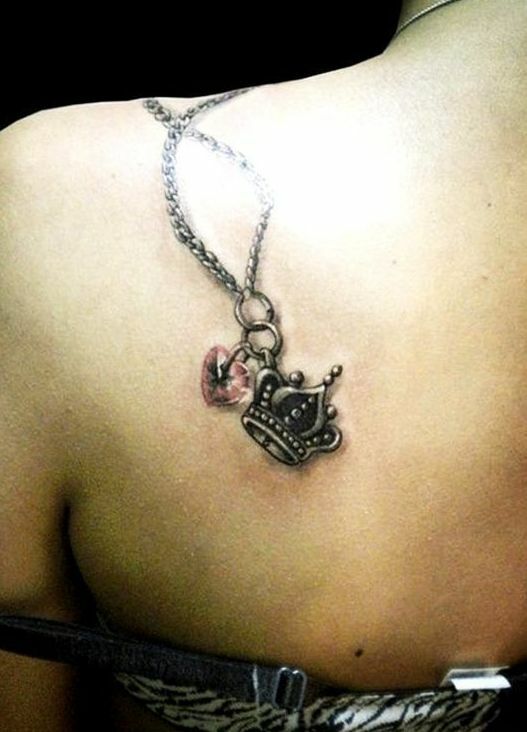 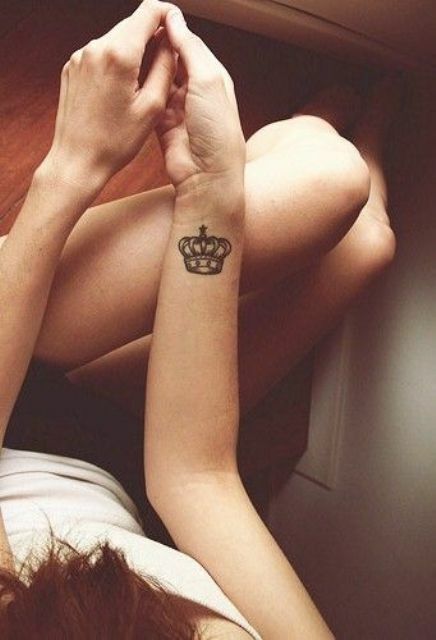 A crown tattoo may also be inked instead of your wedding band. 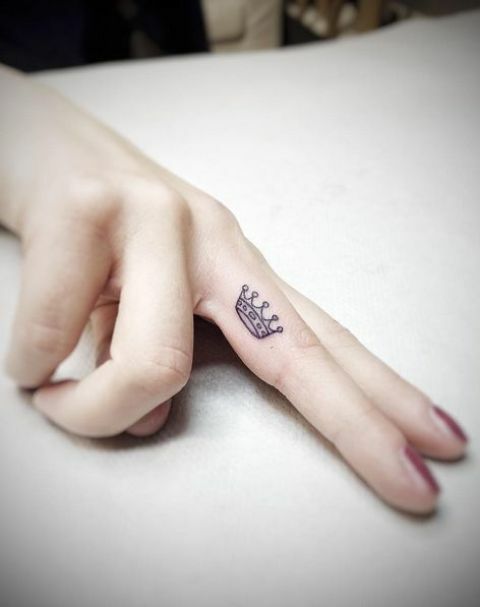 Make everyone see your crown and your feeling royal inking a crown on your hand or finger. 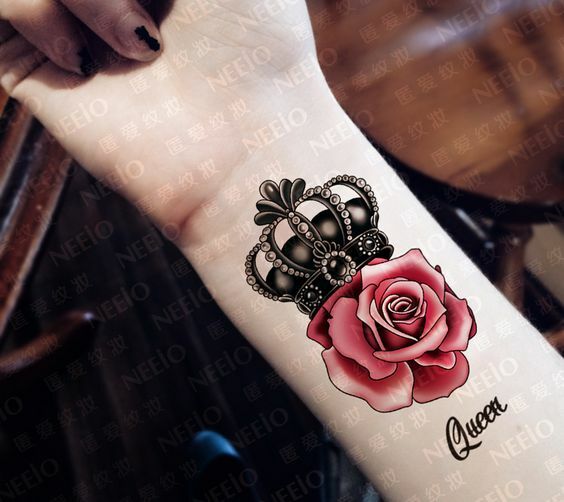 Rock a colorful or watercolor statement arm tattoo, accentuate it with a heart, phrase or date or whatever. 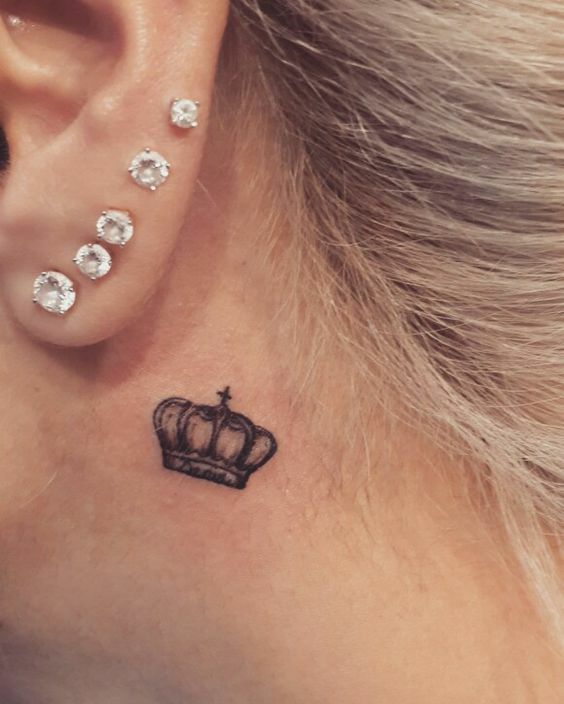 Your crown may differ in size and look – it can be detailed or just a contour. 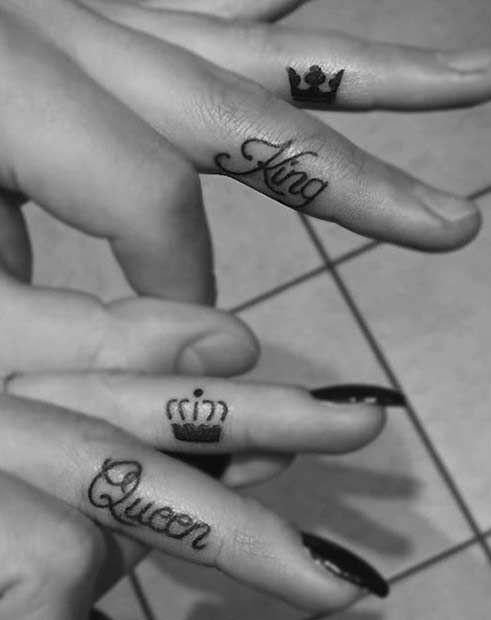 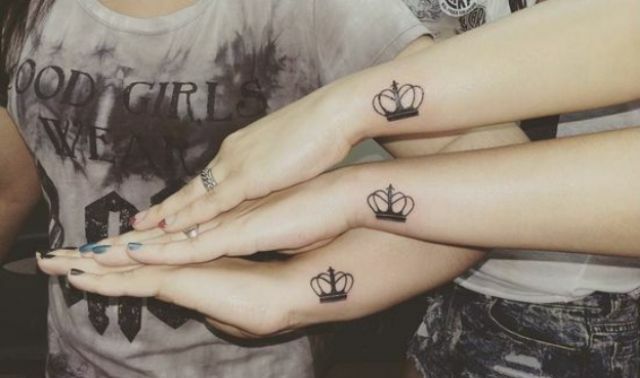 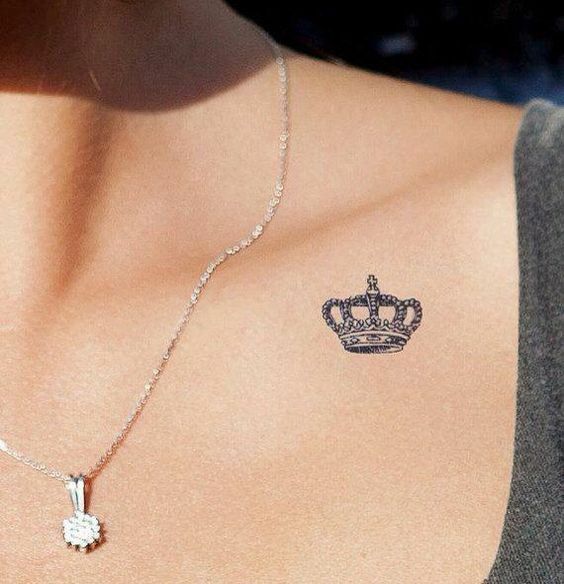 Make bff crown tattoos with your girls and just friends to open a royal club. 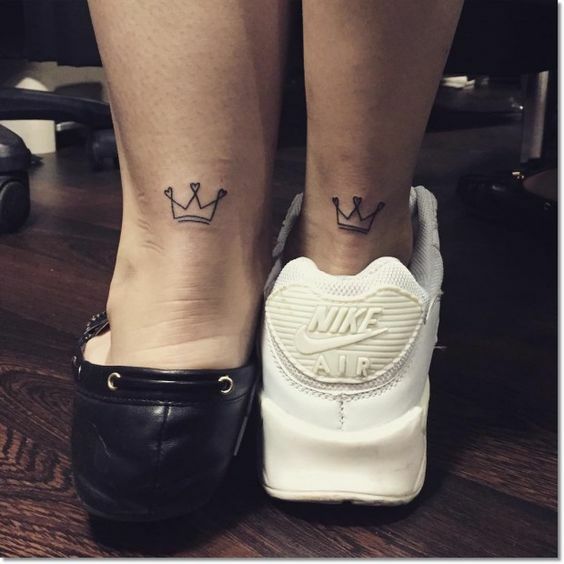 Your legs and feet will look cooler with bold crowns! 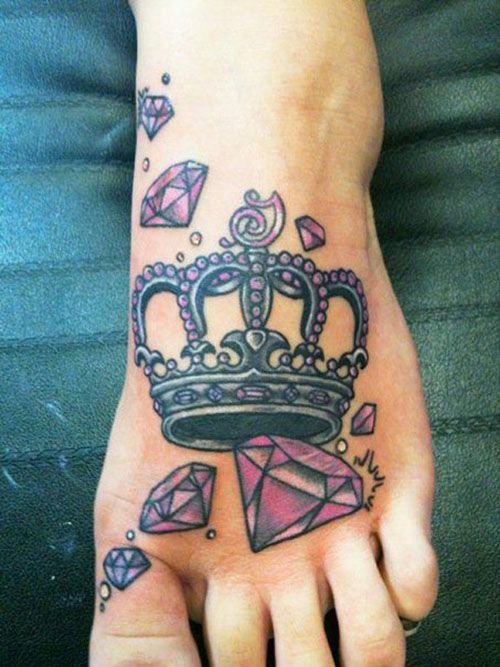 Make several ones on both feet or a tiny crown on your heel and feel a queen or a king! 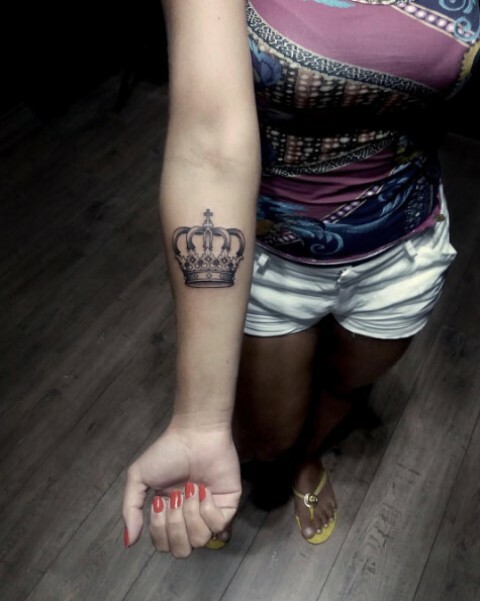 Your body needs to be crowned! 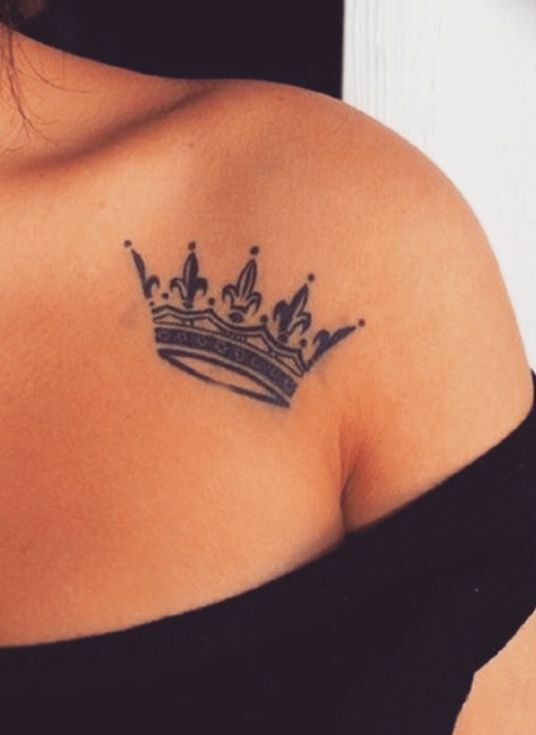 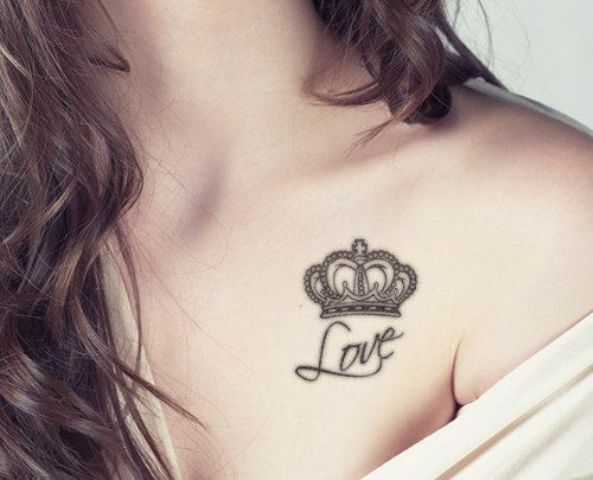 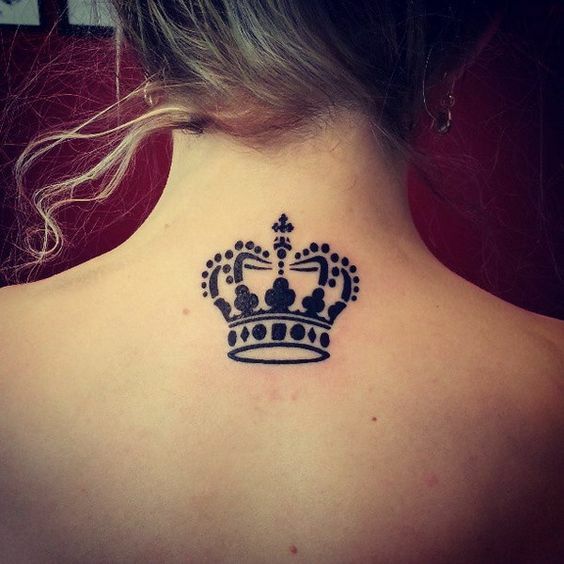 Ink a crown on the back of your neck, your side, collar bone, shoulder or somewhere else, so you’ll hide it when you don’t want anyone to see it and show it off when you want. 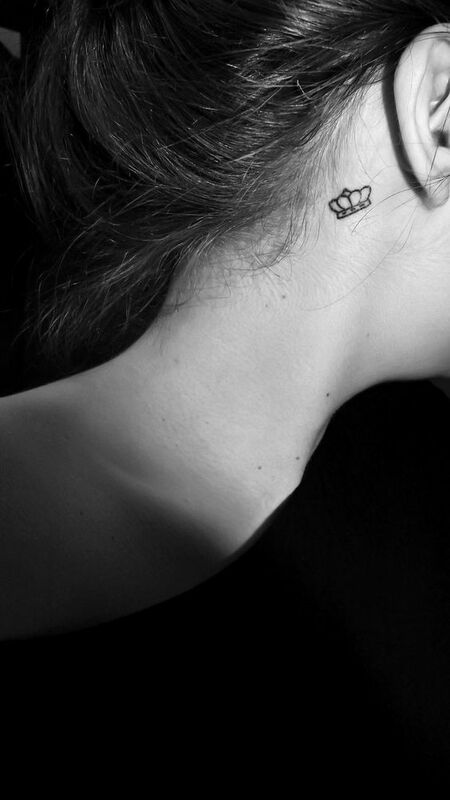 I also love the idea of a delicate tiny crown tattoo behind the ear.